The purpose of adult dependent relative visa is to allow a non-EEA adult dependent relative of a British citizen in the UK, a person settled in the UK, or a person in the UK with refugee leave or humanitarian protection, to settle here if they can demonstrate that, as a result of age, illness or disability, they require a level of long-term personal care that can only be provided in the UK by their relative here and without recourse to public funds. 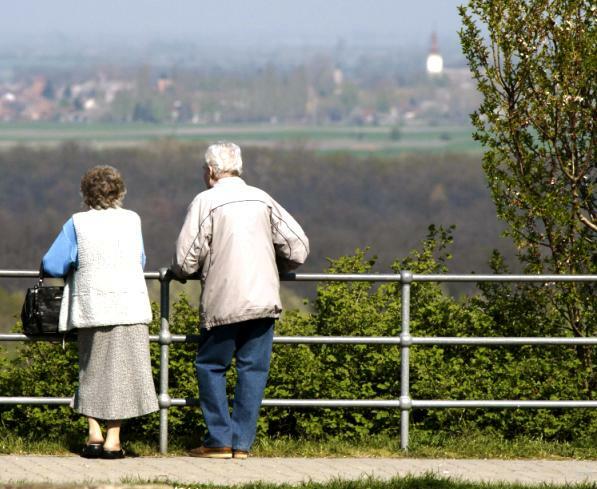 These new rules end the routine expectation of settlement in the UK for parents and grandparents aged 65 or over who are financially dependent on a relative here. This route is only available to an applicant outside the UK: a person cannot switch into this route in the UK. ♠ the applicant must be unable, even with the practical and financial help of the sponsor, to obtain the required level of care in their country of origin because it is not available and there is no person in that country who can reasonably provide it, or because it is not affordable. ♠ the Entry Clearance Officer must be satisfied that the applicant will be adequately maintained, accommodated and cared for in the UK by the sponsor without recourse to public funds. If the sponsor is a British citizen or settled in the UK, they must sign a 5-year undertaking to that effect, at the entry clearance stage. EC-DR.1.1.The requirements to be met for entry clearance as an adult dependent relative are that- (a) the applicant must be outside the UK; (b) the applicant must have made a valid application for entry clearance as an adult dependent relative; (c) the applicant must not fall for refusal under any of the grounds in Section S-EC: Suitability for entry clearance; and (d) the applicant must meet all of the requirements of Section E-ECDR: Eligibility for entry clearance as an adult dependent relative. E-ECDR.1.1. To meet the eligibility requirements for entry clearance as an adult dependent relative all of the requirements in paragraphs E-ECDR.2.1. to 3.2. must be met. (d) son or daughter aged 18 years or over of a person (“the sponsor”) who is in the UK. E-ECDR.2.2.If the applicant is the sponsor’s parent or grandparent they must not be in a subsisting relationship with a partner unless that partner is also the sponsor’s parent or grandparent and is applying for entry clearance at the same time as the applicant. (b) (i) a British Citizen in the UK; or (ii) present and settled in the UK; or (iii) in the UK with refugee leave or humanitarian protection. E- ECDR.2.4. The applicant or, if the applicant and their partner are the sponsor’s parents or grandparents, the applicant’s partner, must as a result of age, illness or disability require long-term personal care to perform everyday tasks. (b) it is not affordable. E- ECDR.3.1. The applicant must provide evidence that they can be adequately maintained, accommodated and cared for in the UK by the sponsor without recourse to public funds. This is detailed in Appendix FM-SE. E- ECDR.3.2. If the applicant’s sponsor is a British Citizen or settled in the UK, the applicant must provide an undertaking signed by the sponsor confirming that the applicant will have no recourse to public funds, and that the sponsor will be responsible for their maintenance, accommodation and care, for a period of 5 years from the date the applicant enters the UK if they are granted indefinite leave to enter. S-EC.1.2. The Secretary of State has personally directed that the exclusion of the applicant from the UK is conducive to the public good. S-EC.1.3. The applicant is at the date of application the subject of a deportation order. S-EC.1.4. The exclusion of the applicant from the UK is conducive to the public good because they have been convicted of an offence for which they have been sentenced to imprisonment for at least 12 months. S-EC.1.5. The exclusion of the applicant from the UK is conducive to the public good because, for example, the applicant’s conduct (including convictions which do not fall within paragraph S-EC.1.4. ), character, associations, or other reasons, make it undesirable to grant them entry clearance. S-EC.1.6. The applicant has failed without reasonable excuse to comply with a requirement to- (a) attend an interview; (b) provide information; (c) provide physical data; or (d) undergo a medical examination or provide a medical report. S-EC.2.1. The applicant will normally be refused on grounds of suitability if any of paragraphs S-EC.2.2. to 2.5. apply. S-EC.2.2. Whether or not to the applicant’s knowledge- (a) false information, representations or documents have been submitted in relation to the application (including false information submitted to any person to obtain a document used in support of the application); or (b) there has been a failure to disclose material facts in relation to the application. S-EC.2.3. One or more relevant NHS body has notified the Secretary of State that the applicant has failed to pay charges in accordance with the relevant NHS regulations on charges to overseas visitors and the outstanding charges have a total value of at least £1000. S-EC.2.5.The exclusion of the applicant from the UK is conducive to the public good because: (a) within the 12 months preceding the date of the application, the person has been convicted of or admitted an offence for which they received a noncustodial sentence or other out of court disposal that is recorded on their criminal record; or (b) in the view of the Secretary of State: (i) the person’s offending has caused serious harm; or (ii) the person is a persistent offender who shows a particular disregard for the law. As the result of age, illness or disability, the applicant must be incapable of performing everyday tasks for themselves, e.g. washing, dressing and cooking. This may have been arrived at recently – such as the result of a serious accident resulting in long-term incapacity – or it could be the result of deterioration in the applicant’s condition over several years. The ECO needs to establish that the applicant has no access to the required level of care in the country where they are living, even with the practical and financial help of the sponsor in the UK. This could be because it is not available and there is no person in that country who can reasonably provide it, or because it is not affordable. If the required level of care is available or affordable, the application should be refused. The ECO should consider whether there is anyone in the country where the applicant is living who can reasonably provide the required level of care.  Grandparent or another person who can provide care, e.g. a home-help, housekeeper, nurse, carer, or care or nursing home. If an applicant has more than one close relative in the country where they are living, those relatives may be able to pool resources to provide the required care. The ECO is required to bear in mind any relevant cultural factors, such as in countries where women are unlikely to be able to provide support. The accommodation must be owned, or occupied exclusively, by the sponsor. The addition of the applicant to the accommodation must not contravene the UK statutory regulations on overcrowding or on public health. The ECO must be satisfied that adequate maintenance and the required level of care can and will be met by the sponsor in the UK without recourse to public funds. Maintenance may be provided by the sponsor, or by any combination of the funds available to the sponsor and the applicant. Promises of third party support will not be accepted as these are vulnerable to a change in another person’s circumstances or in the sponsor’s or the applicant’s relationship with them. Cash savings which have originated from a gift (not a loan) from a third party can count towards the required maintenance, but those cash savings must be in an account in the name of the sponsor or the applicant and under their control.